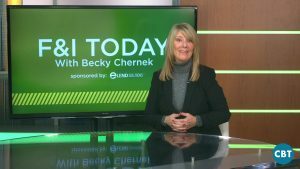 On today’s episode of F&I Today, Becky Chernek discusses the importance of a Dream Team concept between sales and F&I as well as how you can increase your PVR by $1700. This isn’t the first time I’ve heard that question, and it likely won’t be the last. It happens more frequently than it should. Over the years, the sales manager has been responsible for moving units. Whatever it takes, come heck or high water, we’re selling cars today. The F&I manager is most often the one to push back on a spot, telling their people to come up with more reasons why a deal can’t get approved or requiring stips to get it funded. In many dealerships, the mentality is like Jekyll and Hyde: Dr. Jekyll being the mad sales manager, and Mr. Hyde the all-cool F&I manager who wants to follow the rules. As you can imagine, letting the sales manager override or step all over the F&I department is a very bad mistake. When was the last time you sent your sales manager to an F&I school, and why should you? Has your sales manager gone to a compliance workshop lately? And why is it important that they have some knowledge regarding compliance. Compliance does not begin in the F&I office. It begins the very minute your customer lands on the dealership website or walks in the door. Not disclosing terms, or hiding terms, or sending a deal into the F&I office that isn’t complete, is bad business. In some cases, the customer hasn’t even seen a buyer’s agreement. Some people who attend my workshops tell me they don’t have to get the customer to sign a buyer’s agreement before they go into the F&I office; they can transmit the deal to F&I or use the EPencil worksheet. But I have news for you. I can’t begin to tell you how often I review the EPencil worksheet only to find the payments are missing or the buying numbers don’t match the menu. It’s about a paper trail, and validating that you have a solid meeting of the minds between the customer and the dealership. It’s critical that the customer understands the terms of the sale, and that those terms also match the menu. Unfortunately, somehow or the other, this seldom is the case. Sales managers are also notorious for writing all over the worksheets in confusing fashion, using abbreviations such as WAC, OAC, or WCA that make no sense to the customer. None of these disclosures will hold up if your dealerships winds up in a court of law. When F&I managers ask the sales manager to make sure the customer understands the terms of the sale, they are being a pain and getting in the way of selling cars. The check list is there for a reason, but far too often it’s not filled out or completed. This only slows down F&I more. The F&I manager is instructed to take the deal anyway—not to slow it down. But if the paperwork was right to begin with and the check list was actually completed like it should, it would make for a much happier customer and speed up the overall delivery. I’m not trying to beat up on the sales manager. I realize you might think I am, but every single sales associate in the dealership has to be accountable to assure the transaction is complete and accurate. Throw the egos out the window. They are only self-serving and likely costing you a fortune! For example, if your F&I manager isn’t allowed on the desk, ask yourself why? Are you being overly territorial? Why haven’t you invited the F&I manager to a sales meeting? The F&I manager should always be invited to attend a sales meeting, and they should be prepared to cover a variety of topics such as how to complete a credit application, how to discuss products earlier on in the sale, how to discuss payments if it comes up, how to determine earlier on in the process if your customer has slow pay history, or how to discuss a lease versus financing. The list goes on. Another reason the F&I manager must be allowed into the meeting is because it creates a positive perception for the sales team that F&I manager is a leader and has their back. In many dealerships that I visit, the F&I manager happens to be the most talented closer in the store. Why wouldn’t you want your sales team to hear what your F&I manager has to say? A dual-departmental approach wreaks havoc on your profits. In one store that will go nameless, they sell a ton of cars. They make all the front and back end profit. And the sales manager and finance manager work deals together. The F&I manager is at the desk, and in fact, this will blow you away—they even present menus on the floor! Right there on the floor! These guys are making $1700 per car, selling all the products! With success stories like these out there, I don’t know why it’s so hard for everyone to get behind a team strategy concept. It’s frustrating when expectation is unrealistic and not in alignment with today’s business environment. Why isn’t the desk responsible for ensuring that the customer has a driver’s license or adequate insurance? Why are deals making their way into the F&I office without proof of income or proof of residence, or without OFAC even being pulled or a red flag check performed to determine if the individual you’re about to sell a car might be a possible identity hack? I can’t begin to tell you how many times a dealer has gone after a car they delivered because they had to find out the hard way that that the customer was bogus or outright lied on their credit report. It’s happening a lot more than ever before, and it wouldn’t if everyone pitched in and did what they were supposed to do by holding to the same standards and practice as the F&I manager. The process must be adhered to from the front to the back with no deviation. Sales managers must respect the duties and responsibilities of the F&I department, and the F&I manager must make it a point to respect the sales department too. Get out of the office. Meet with the sales people. Do what you can to make sure they know you have their back. Find out the reasons behind a customer’s slow pay history by conducting a credit interview with the customer early in the process. Teach the sales people the benefit of meeting you earlier on in the sales process, and whatever you do, don’t come across as a deal stopper. You want to come across as someone who is there to get more deals approved, and you are! Let’s face it. The more information you can get your hands on earlier on in the sales process, the better it will be. The difference will be huge! Are you putting the customer on the right vehicle that makes sense based on your bank guidelines and the customer PTI or budget? Does your desk know your current bank guidelines? And it not, why? If you’re concerned that providing them with the bank guidelines will end up with them giving up the farm and quoting payments to the cent on extended terms, or backing into the deal and making no profit, get with the General Manager! The desk manager is likely just sending mind deals into the F&I office and actually costing the dealer sales and profits. It has to stop. Having a holistic approach will create a seamless process that is upfront and does away with the smoke and mirrors. Doing this will positively impact results—not only in selling more cars, but increasing your PVR to $1700 or more! Remember, it takes two to tango! Derrick, I hope dealers will finally understand the importance of managing the desk like they manage the F&I department.